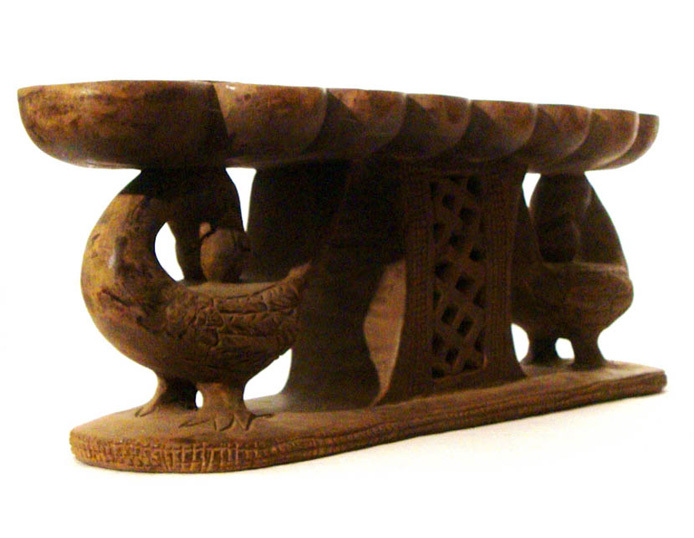 A nice carved Ashanti Warri game in a good condition. It is decorated with nice small square carvings and some square hole carvings in the middle. 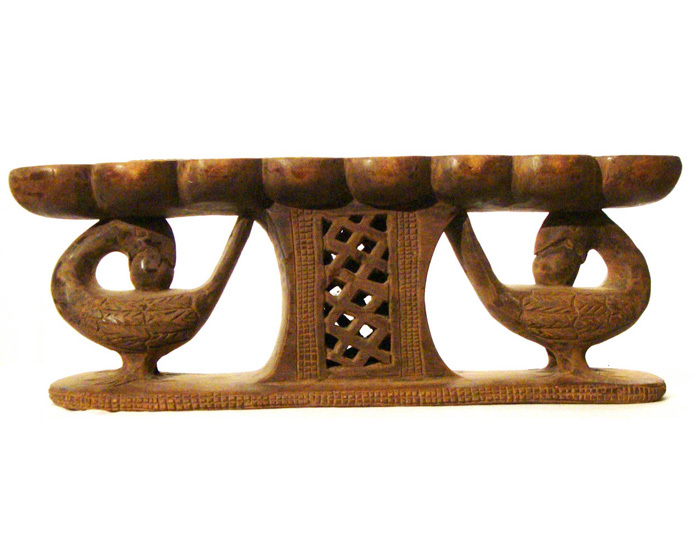 It also has two nice Sankofa birds with eggs carved in it, one on each side. It is accompanied by 48 playing pieces that can be used to play the game. 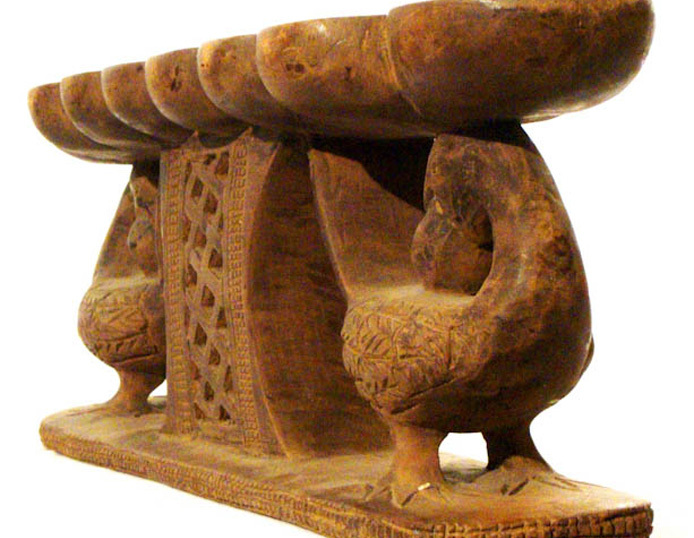 Apart from being used for playing the game, for the Ashanti people it may also serve as a stool after covering it with a blanket or pillow.Warri is a count and capture bead game that is played all over Africa with many different variations. 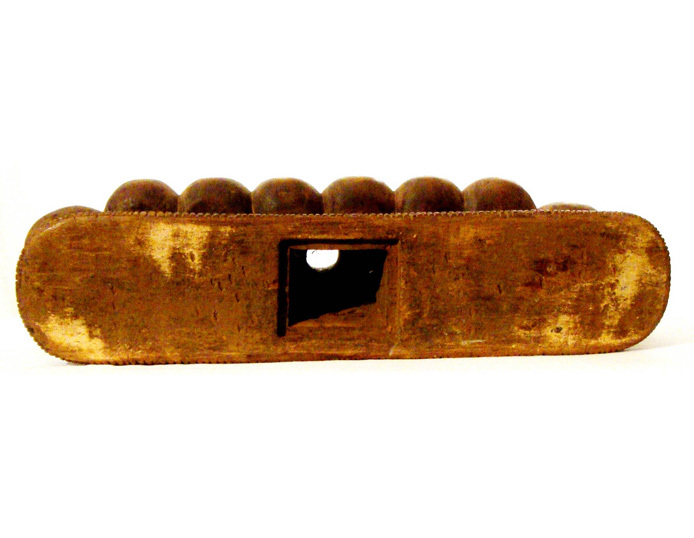 The game is traditionally played with seeds of a special flower, or stones. There are 48 seeds or stones necessary to play the game. This is the one played in Ghana and other parts of West-Africa. The game has many names, but the rules are almost always the same. 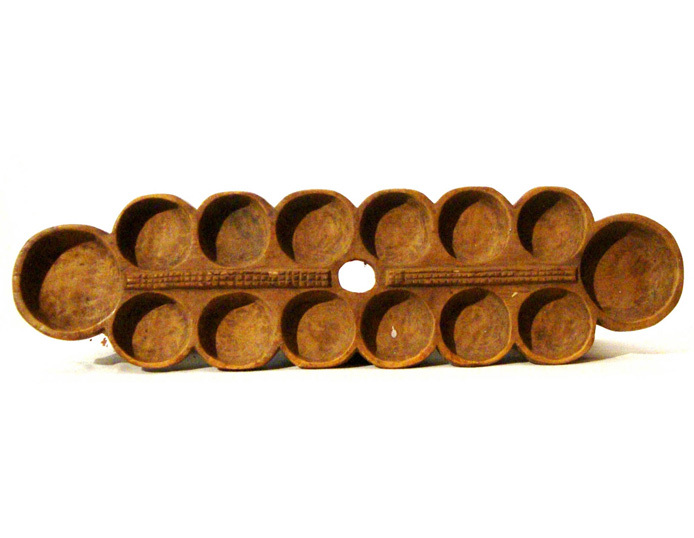 It is also said that these kind of games were used by kings to determine who would get the throne of Ghana.